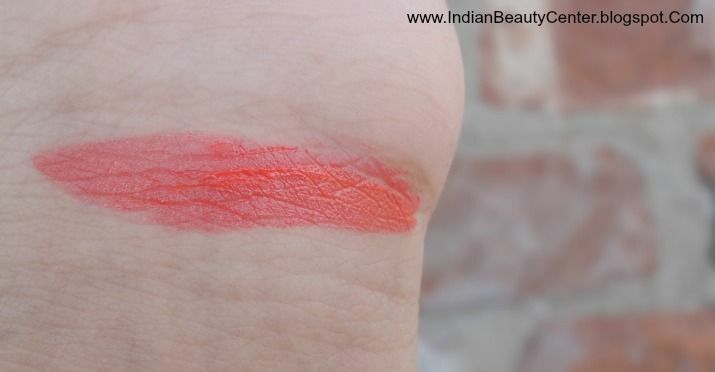 I got this little beauty in my Maybelline Instaglam Valentines Gift Kit Coral. I was excited to try this out and I have already been using this for a month. I do not wear this everyday, honestly, because I have too many shades of lipsticks already and I love to alter. I have used this for 6 times. It comes in a lovely packaging, the outer cover being deep coral in color. 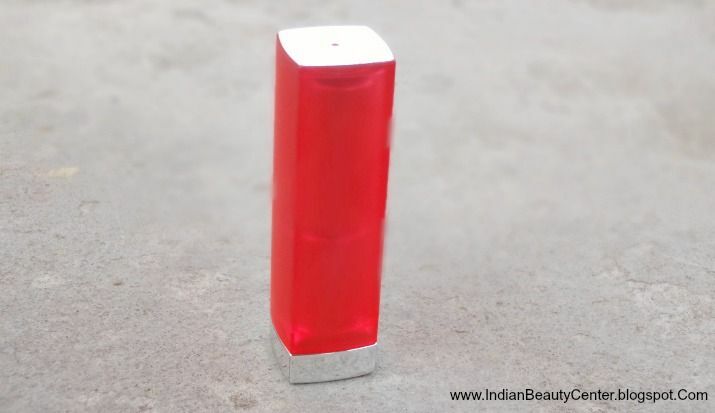 At the base, the shade name has been mentioned, although that does not reveal much about the actual color of the bullet. It is a really bright shade, and is not everyone's cup of tea. 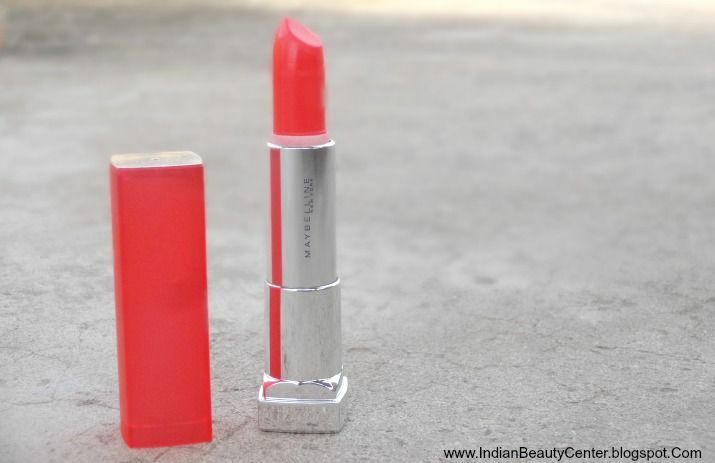 So, this can not be worn to the office as this gives such a striking color to the lips! It has pinkish tones and is an orangish-coral color. 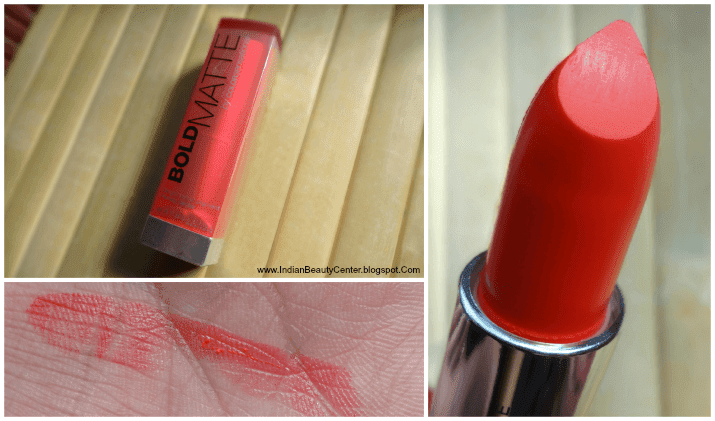 It is immensely pigmented and all I need for an absolutely opaque finish is just one swipe of this eye-catching lip color. The packaging is also very travel-friendly as it can easily slip into your purse. It has an attractive cover and the retractable stick does not look substandard at all. Rather, the appearance is classy. Candidly, I would like to tell you that I am not a fan of such vivid shades. Therefore, I try to tone down the color by just loading up a little of this color on my finger tips and then applying it on my lips. I spread it evenly so as to bring the intensity down. 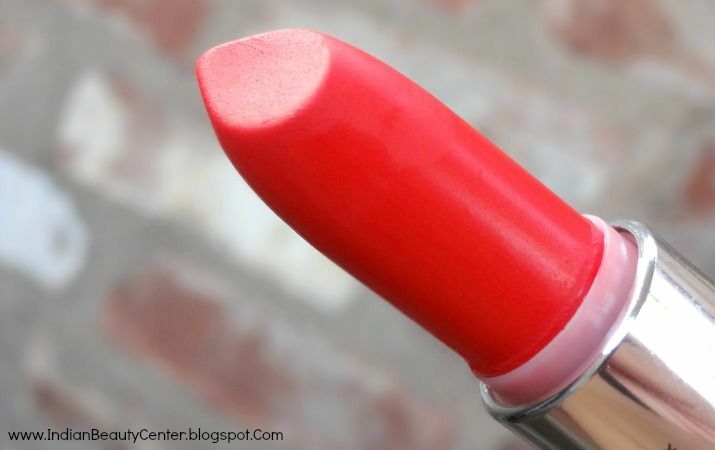 The application is not at all patchy and it does not make the lips look dull. 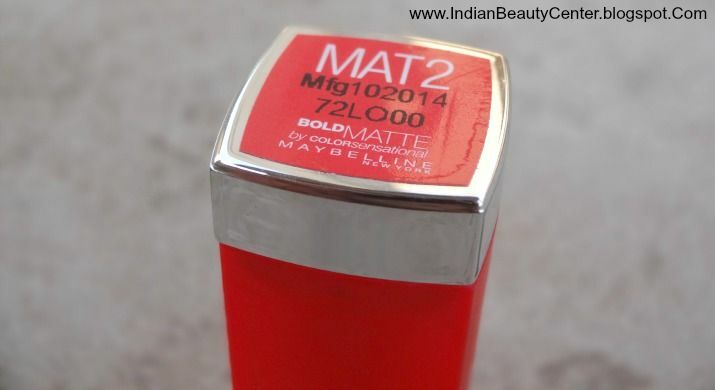 It has an almost matte finish and the initial glossiness vanishes soon. The lasting power of this lipstick is commendable. It stays put on my lips for more than 6 hours. As the color is strong, it can survive a full meal with some snacks in between. It does transfer a little but that is negligible. The best part about this lip color is that it does not bleed at all. It also does not settle in the fine line of the lips. I do not find any cons with this product except the fact that it is slightly pricey. The color is such that it makes the teeth appear whiter and makes the face look attractive. However, like I said, this lipstick will not be in everyone's good books because of its bold hue. I have this is MAT 1. It is a neon pink shade which sometimes make me look a little darker. I liked this shade more. I have seen MAT1 too and did not like the shade that much. But this shade really suits my wheatish skin tone. These look really classy and this shade will suit most skin tones! Thank you so much Supriya! Shade is simply amazing! Looks like great lipstick.